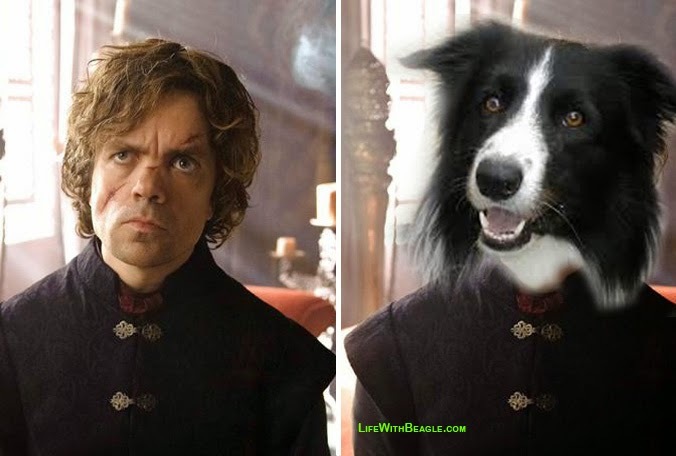 What if these great "Game of Thrones" characters were played by dogs? What dogs kind of match up to what characters, in the same way that recent studies have shown pet owners actually are very similar to their dogs? 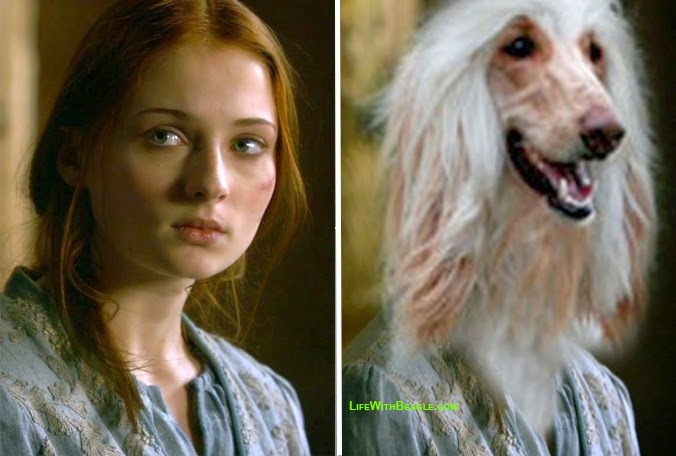 NOTE: To Stark followers still smarting from the Red Wedding, I apologize if this offends you. The North will Never Forget! Single-minded determination. Arya Stark is a scrappy kid who had plans to become a fighter, no matter what her father had planned. It was cute when she was a little girl, now it's dangerous. Especially since her targets all did her family wrong. Beagles are scrappy dogs with big dark eyes and single-minded determination as well. Normally though, it's about food for them. Tyrion is smart. Uber smart. Unfortunately his talents aren't always put to best use in the family (maintaining the plumbing?). But he's loyal and wants to please his family. And he tries so hard. But when he's left to languish it's easy to get into trouble. Border collies are very much the same -- crazy smart, extremely loyal and loving dogs. They aim to please. But they need constant stimulation or they will get into trouble -- though they probably won't resort to whoring and drinking. Ok, maybe whoring if not fixed, but definitely not drinking. Smart, stubborn, great fashion sense. Standard poodles are champion dogs who are also not afraid to get their paws dirty (did you know they are hunting dogs?). 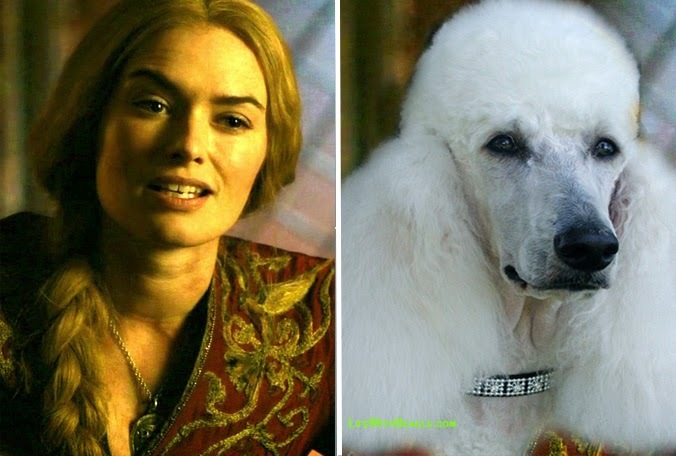 Cersei is all that, plus a manipulative, nasty person. It's important to note that individual dogs are not indicative of a breed in general. The description you find most for the Afghan hound is "aloof and dignified." They're elegant and spirited, but they're suspicious of people they don't know. So Sansa may not have fit those qualifications in the beginning (GOD she was so whiny! ), I think she's grown into them, for tragic reasons. It will be interesting to see how she puts those qualities to good use in season 6. This one may be a bit controversial (a pit bull plays a warrior?! ), but follow me on this. Pit bulls are eager-to-please family dogs. They used to be nannies. They are friendly and loyal dogs. But they aren't to be trifled with either. What do you think of our choices? 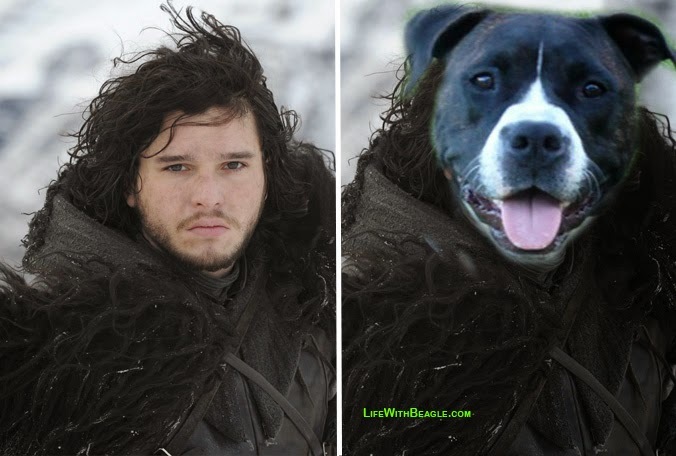 What breeds would you pair up with your favorite Game of Thrones characters? Tell us below! LOVE this! Haha!! Can't wait for the new season to begin! I've been rewatching and everything. Sunday can't get here fast enough! Great post! Love Game of Thrones. Watched it last night and posted a spoof on my Facebook page. Just can;t get enough. It is seriously the best show on TV. Ooooh, I like that for Varys. Oh this is good! Now I just need to start watching. It's been on my to do list for sometime now! Yes you do! I wish HBO had all the episodes on demand. They might have them on HBO Go. Ha-ha! Thanks for sharing. Very cute post. Ohmygod, that is FANTASTIC. Especially Cercei. Awesome. LOL! One of my biggest fears was that people would get upset if their breed was tied to a naughty character. 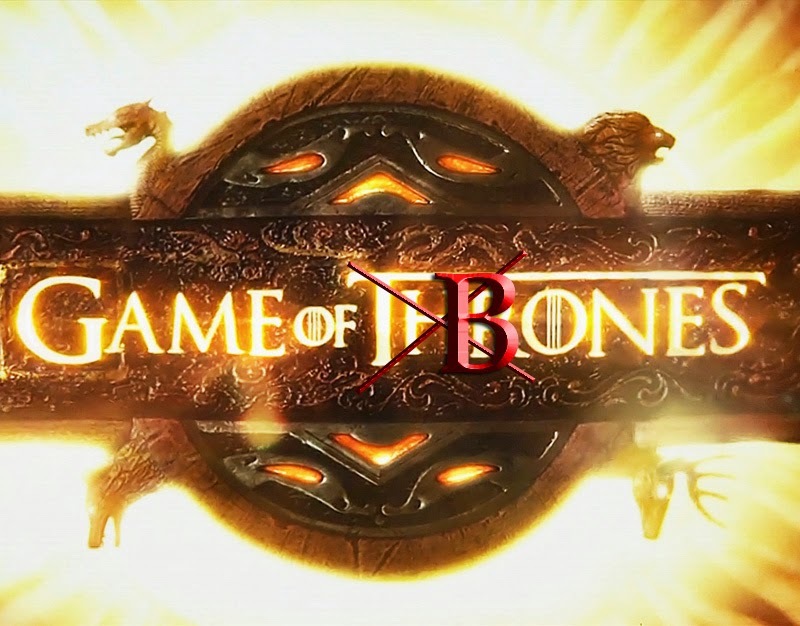 You won't believe this but I've never seen Game of Thrones - not once! I do think you've done a great job matching the characters w/ dog breeds from what I can see here! Fun post! OMC! Love that show - and love your dog characters. We have not started to watch dat show - now momma is all eager to catch it! This post is too cute and funny! I don't watch Game of Thrones myself, but I had a friend who *loved* the show! Never seen nor heard of his show, but your rendition looks like a winner! I have never seen this show, but I think you opinions are right on the money based on your descriptions. 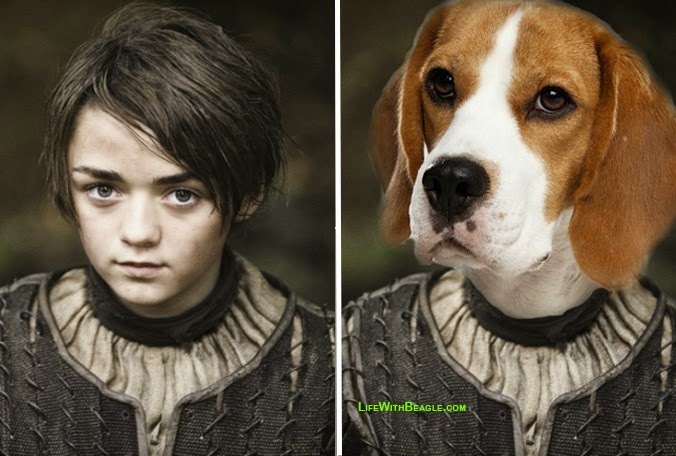 These dogs could totally play these parts! Though I don't watch the show this post and imagery is brilliant, Christie! I've never seen this, but I have friends who are addicted. They are definitely going to be seeing this! Fantastic! I adore this post! I have never been such a fangirl about a show before and I think your choices are perfect. My favorite character is Daenerys and I think she would be played by a Rhodesian Ridgeback since they are brave lion hunters. A Rhodesian Ridgeback -- I couldn't come up with one for Dany, so I think that would work! Great post! I haven't seen the show but enjoy the books. In a way it's good the series is deviating from the books because now we can enjoy both!